Alex’s number one passion in life is music and entertaining in various forms whether it be as a solo artist or in bands. To date Alex has been featured on Television broadcasts including Channel 4 and has also performed for the likes of Jo Wiley (Radio One), Alex James (Blur) and Alex Zane (Presenter) as well as many happy Corporate and Wedding clients, just see the reviews for more information. 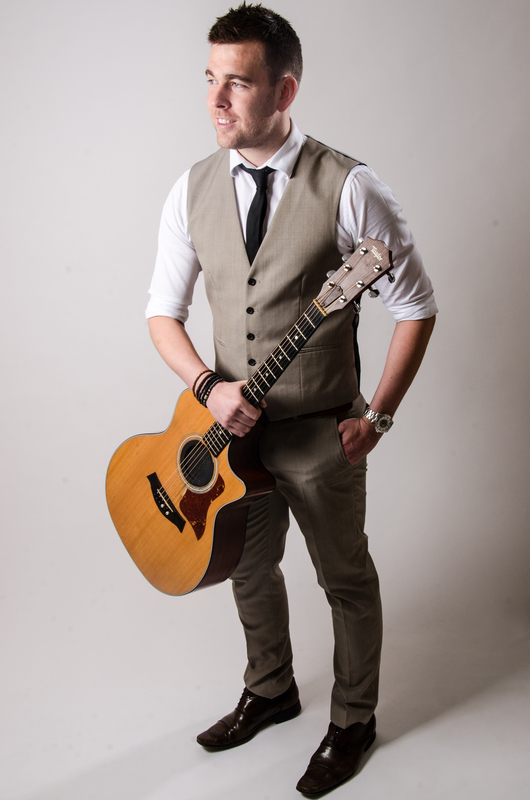 Alex is a wedding guitarist and singer specializing in unique acoustic cover versions of a whole array of songs and genres, Alex can provide the highest standard of entertainment for wedding or occasion. With stunning vocals and a professional yet personal approach to all your entertainment needs, it’s easy to see why Alex is making such a name for himself. not only as an acoustic wedding singer but also as a full wedding entertainment provider. His large repertoire of over 300 songs and counting means that there certainly is something for everyone. A lot of people think that acoustic means that people can’t or won’t dance but they couldn’t be more wrong. Alex does not use conventional backing tracks which you see a lot of performers use nowadays, he uses a loop station which provides a drum beat backing and allows him to layer all different parts of the arrangement, leaving you with a fully sounding song which you will see being recorded live on the spot. This is the very same approach as made famous by Ed Sheeran when he performs live. See the music page for demo’s. Featuring hits throughout the decades from classics such as James, Oasis & Kings of Leon through to more modern numbers like Ed Sheeran, Rihanna & Bruno Mars as well as the latest top 40! Please check out the music, videos and testimonials section for further reference. 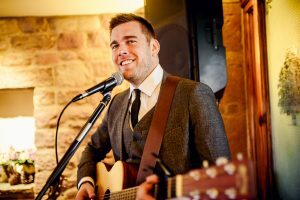 If you would be interested in this fantastic acoustic wedding guitarist and singer performing at your venue or occasion then feel free to contact him either by email at alex@alexbirtwell.co.uk, make an online enquiry or you can contact him by phone or SMS on +447792 305 834. Alex can cover any event you require such as parties, weddings and corporate events providing a full entertainment package including disco. Alex covers Lancashire, Yorkshire and generally the North West of England but has had the privilege of performing all over the world so do feel free to contact him for bookings further-a-field. Alex also performs in various Party Bands as a drummer, singer and guitarist so if your looking for a full band party experience for your corporate function, event or wedding get in touch and get the best of both worlds. Alex Birtwell has public liability insurance up to the value of £5 million and all equipment is covered by a UK PAT test certificate.